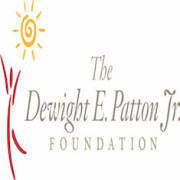 The Dewight E. Patton Jr. Foundation is seeking a Youth Learning Assistant (YLA) to support and assist the Facilitator with program lessons and activities to middle and high school students in a group setting or tutoring. The YLA will be a mentor, role model and coach youth through the learning activities in a safe and structured environment. Patience and the desire to have a positive impact on the life of a young person is required.